The Avocado Family - West Pak Avocado Inc. Since 1982, family owned & operated company proudly growing, packing, shipping & distributing premium avocados. Why Choose West Pak Avocado? Cultivating an avocado for your favorite recipe is a fascinating process. Commercial production starts typically after four years with annual yields of 60 to 200 avocados per tree. Avocados grow best in warm climates, with plenty of moisture and thoughtful care in family-owned groves. Fruit handling is an important facet of putting the best quality avocados out on the market. When avocados are packed right, it ensures consistency for our buyers. At West Pak, our state-of-the-art facilities include such technologies as pallet and bin pre-cooling, computerized sizers, and forced air ripening. Whether destined for domestic grocery chains, wholesale club stores, food-service or foreign markets, our shippers are climate controlled throughout their journey to be certain we offer maximum freshness at the point of delivery. Shoppers globally enjoy the avocado. A recent study calls youthful, married customers in need of a healthy meal or snack, a distinct group of “super heavy shoppers” (source: Hass Avocado Board). These buyers account for 73% of all avocado purchases. Two decades of production experience meet 30 years of avocado dedication. Mario Pacheco is a 21-year produce industry veteran and the newest member of our avocado family. Mario came to West Pak with an extensive background in the fruit business, supply chain operations, and ﬁnance. His specialties include business building, global supply chain leadership, revenue generation, supply and demand balancing, operations planning, and financial analysis. In addition to his well-respected reputation and strong ethics, Mario also brings a vital understanding of creative cost reduction and service improvement to West Pak. As our new CEO, Mario is taking over day-to-day operations and overseeing all financial and business building efforts for our international avocado distribution. Through his leadership, the company and our avocado family will continue to grow and thrive in the future. I look forward to working with West Pak’s valued customers, growers, suppliers, and internal team to continue the company’s successful momentum forward. Founded in 1982 as a grower and shipper of California avocados, West Pak is deeply rooted in strong ethics and a focus on family values. The company was started by two friends, Galen Newhouse and Randy Shoup. They began their operations from a small packing house in Fallbrook, which is still the heart of the state’s avocado growing region. From this modest operation, West Pak grew into an international grower and supplier of fresh, delicious avocados. 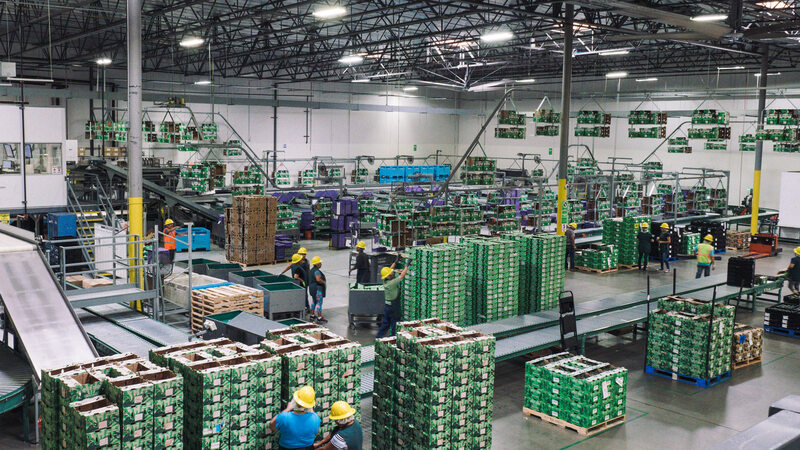 Today, West Pak is a major force in the avocado industry, with ripening and distribution centers strategically located throughout the domestic United States. Our extensive relationships with national and international growers in California, Mexico, Chile, and Peru– combined with our mastery of transportation logistics, ripening technology, and marketing expertise – translate into year-round availability of high-quality avocados. At West Pak, being a family company means, among other things, respect, support, success, and commitment to excellence. As the company continues to expand, we will strive to maintain and strengthen the core values of our organization and to ensure a lasting legacy started by the Shoup and Newhouse partnership. Culture, family, honesty, and being true to customers, growers, and employees is what's important, and that's what West Pak is all about. After years of analysis, research and forward-thinking investment, we’ve redesigned the way we grow, ship and sell avocados. Today, West Pak is proud to be a dominant force in the avocado industry and to offer an exceptional product. Our disciplined approach to delivering quality produce and our ability to forge strong partnerships with regional growers has earned us a solid, global reputation in the produce industry. Our goal is to serve our customers the benefits of healthy eating habits with a diet that includes nutrient-rich avocados.